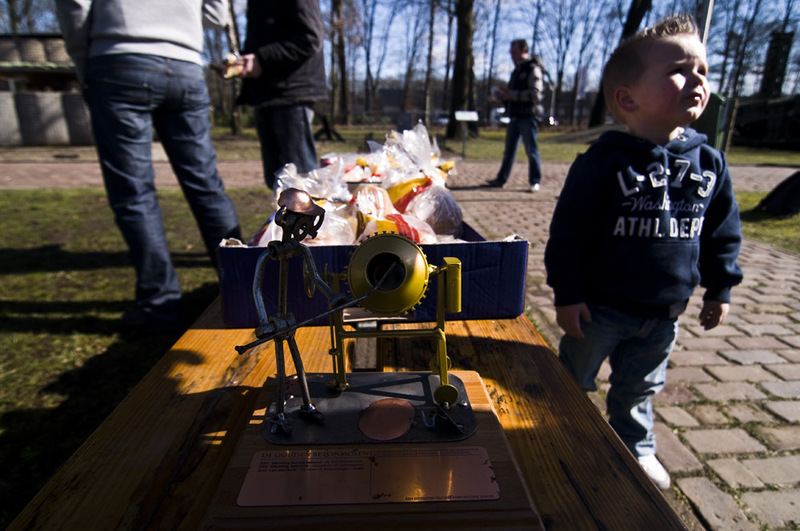 ﻿ BunkerBlog » Golden concrete mixer 2010! The Dutch prize for the best initiative in our field of interested was awarded today to Leo den Dulk. 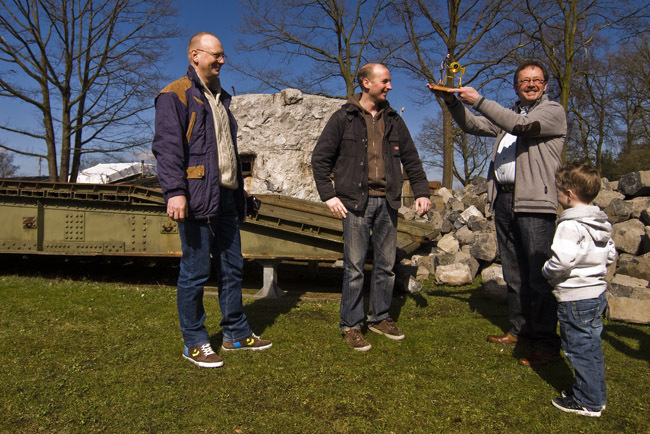 He was the one who brought up the idea to move a complete bunker from the Dutch coast to the Military engineers museum in Vught. 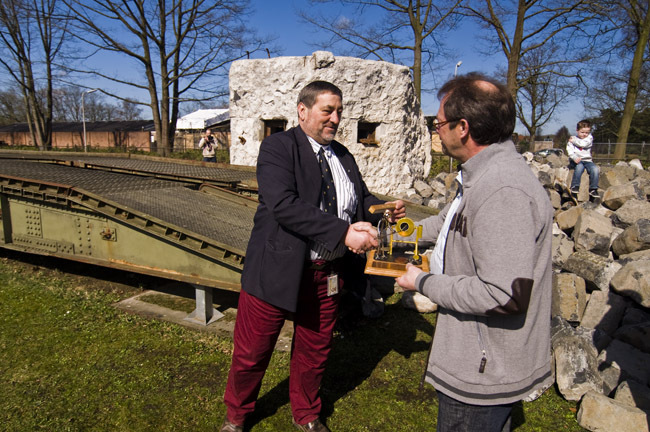 It was a beautiful sunny day at the military engineers museum when Leo received the award from last year’s winner, Ruud Pols and his WN2000 from IJmuiden. With pain in his heart and tears in his eyes he handed over this prestigious recognition. Leo told about how the operation of moving the complete bunker was arranged with the Dutch military engineers and there were some funny and interesting anecdotes by the engineers too. The Dutch S3k casemate for machine gun at the Scheveningen boulevard was built in 1939 together with two other bunkers of the same type. During the war the Germans re-used the bunker and added a Vf bunker to it. During construction works last year the bunker reappeared and was openend to the public, with much success. In the end a huge logistic operation was set up to save the bunker from demolition. 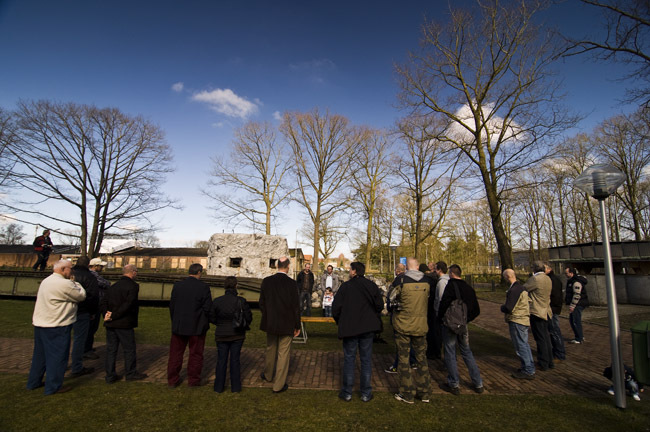 In a joint operation the 110 ton bunker was cut in pieces and moved to the place where it’s now in Vught. Plans are to completely restore its former camouflage and even the boulevard stairs next to the bunker. 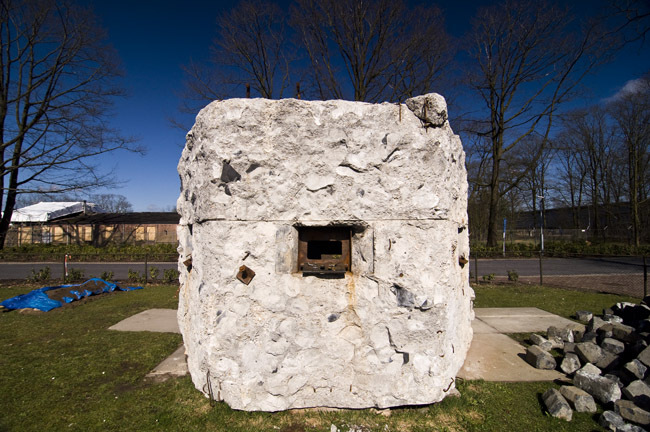 ﻿﻿﻿The Gouden Betonmolen is an initiative by the Dutch fortificatieforum to award people or groups who are doing a special thing for fortifications in Holland. It was quickly baptised National Golden Concrete mixer by local media back then.